The completely open back speaker provides unparalleled respect for dynamics. Clear offer extremely realistic listening. The aluminum/magnesium alloy M-profile dome offers an ideal combination of low weight, high rigidity and excellent damping. This means that high frequencies are linear and transients are fully respected. Clear are capable of precisely revealing the tiniest details of the recording, taking you to the heart of your music. Unparalleled depth and dynamics are the signature of this beautiful pair of headphones. With its well-mastered geometry, Elegia’s headband moulds perfectly to the head, providing optimal grip for on-the-go use. 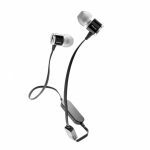 The 20mm memory foam microfibre earpads as well as the yoke, which also moulds perfectly to the wearer’s face shape, are both key contributors to the headphones’ supreme comfort. They are also incredibly good-looking: noble materials such as leather, solid aluminium and microfibre finish off Elegia to a tee. 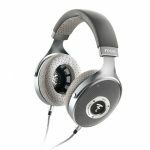 Stellia are the ultimate closed-back circum-aural headphones, both in terms of acoustic performance and the prestige of the materials used, such as the full grain leather of the headband, ear cups and cushions. 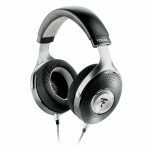 Stellia pushes the acoustic boundaries of the very best closed-back headphones and stands out as the key reference in its sector. 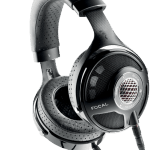 Utopia are THE reference high-fidelity headphones manufactured in France by Focal. They are the result of 35 years of innovation, development and manufacturing of high-end speaker drivers and loudspeakers. Equipped with exclusive technology, they offer striking realism, neutrality, dynamics and clarity, for sound with unrivalled purity. 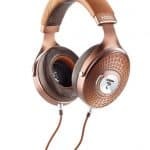 Utopia are unique they are the world’s first audiophile headphones to be equipped with totally open-backed full-range speaker drivers with pure Beryllium ’M’-shaped domes.